Scientific research has identified lactate threshold (LT) and maximal exercise performance as being very important contributors to endurance performance. A well-designed endurance training program can lead to improvement in both LT and maximal exercise performance within a single season and from season to season. The following is an exclusive excerpt from the book Developing Endurance, published by Human Kinetics. All text and images provided by Human Kinetics. Scientific research has recently identified a couple of additional physiological factors that are very important contributors to endurance performance: lactate threshold (LT) and maximal exercise performance. These physiological parameters are typically measured under laboratory conditions. During an increasingly demanding endurance training session or race, the lactate threshold represents the point at which the athlete’s body requires a greater contribution from the glycolysis energy system (short-term energy system) and a smaller contribution from the oxidative phosphorylation energy system (long-term energy system). As a result of reaching this point, lactate production exceeds lactate removal, and an exponential increase in blood lactate levels occurs. So, the higher the lactate threshold, the better in terms of endurance performance. In evaluating lactate threshold capabilities in triathletes, swimming velocity (m × sec-1), cycling power output (watts per kilogram of body weight [W × kg-1]), and running velocity (m × min-1) are the measurements of interest. By participating in a well-designed endurance training program, a triathlete can expect to see significant improvement in these lactate threshold parameters. The athlete will certainly see an improvement in the lactate threshold over the course of a single season. In addition, the athlete will probably see improvements in the lactate threshold from season to season depending on how many years the endurance athlete has been in training. Maximal exercise performance is simply the objective quantification of an endurance athlete’s athletic capability at the point at which the athlete voluntarily stops exercising because of exhaustion (volitional exhaustion). This is determined at the conclusion of a laboratory-based maximal exercise test (e.g., treadmill test). The popularity of endurance sports continues to grow worldwide. 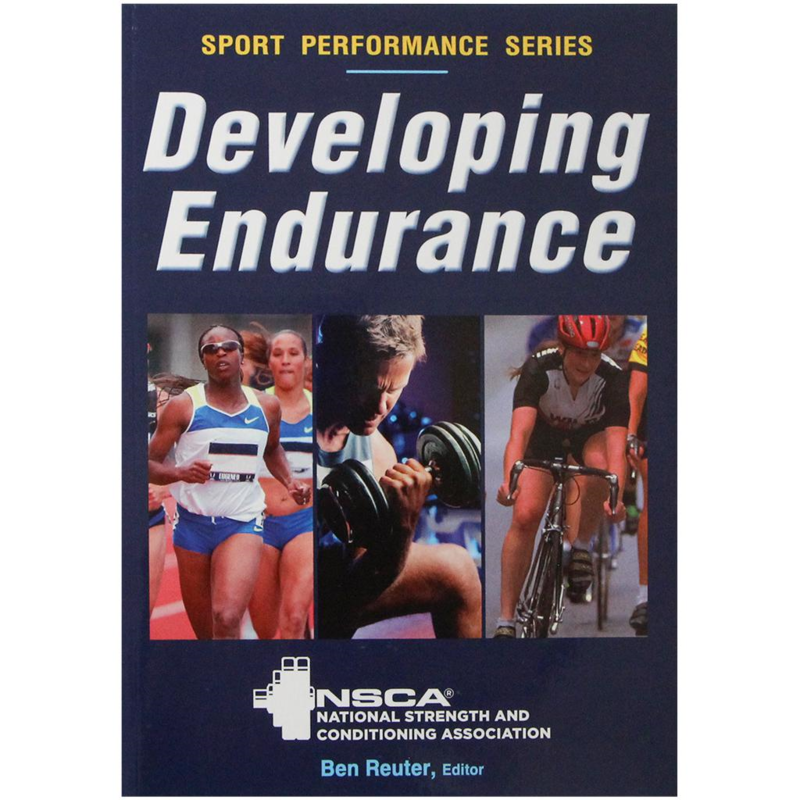 Now, from the National Strength and Conditioning Association comes the definitive resource for developing the endurance training programs that maximize performance and minimize injuries. The book is available in bookstores everywhere, as well as online at the NSCA Store.